New EXPLORIST GC 310 510 610 and 710 World of GPS - "A New Adventure for ALL!! ™". Have Any Questions on Magellan Tritons and the New Explorist Series? It is dedicated to Magellan users of the Explorist X10 and Triton Handheld GPS customers Worldwide. If you haven't joined please do (Its Free!). Here you will find over 880+ members, who are also Triton GPS and Magellan Legacy Explorist (500 - 600, XL) users. Our members are eager to assist you with topics ranging from how to chose the best X10 to purchase, problems "Uncovered" with the X10 units, glitches and bugs, how to fix them and more. Jungle Ghost Triton Map Store .. Home Page of the Worldwide Detailed TOPO Maps That We Offer Exclusively For the Magellan Triton GPS Units. IS YOUR TRITON OR EXPLORIST GPS BEING USED AS A "PAPERWEIGHT" OR A "BRICK" DISPLACING WATER IN THE TOILET? IS THE UNIT "OUT OF WARRANTY"?? WE WILL REPAIR, AND ENHANCE YOUR GPS WHILE PRESERVING THE PRECIOUS SERIAL NUMBER THAT ALLOWS YOUR PRESENT MAPS TO WORK ON IT. We no longer offer this service. However; we have posted the repair instructions for you to repair own Triton 200 300 400 500 1500 and 2000 on our website. After Registering go to the Service and Repairs subforum for the repair instructions. WE SELL A COMPLETE REPAIR KIT WHICH INCLUDES DISPLAY SCREEN, INSTRUCTION MANUAL AND ANTI-STATIC TAPE. We have a supply of TFT QVGA Displays for the 200 300 400 500 Explorist GC units. Here are a Few GPX Trails That May Interest You. Let us know if you want us to post any special Trails. You must first load these files into VantagePoint. Your VP Instruction Manual will tell you how to load these into VP. 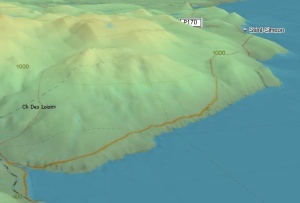 The gpx file will automatically load and make the Waypoints and the Trail. After that you must transfer both the Shelters and the Trail from the PC to the GPS. CLICK HERE TO VISIT OUR MAGELLAN TRITON STORE ..
CLICK HERE FOR THE LINK TO OUR NEW MAGELLAN EXPLORIST 510 / 610 / 710 WEBSITE EXPERIENCE -- "A New Adventure for ALL!! 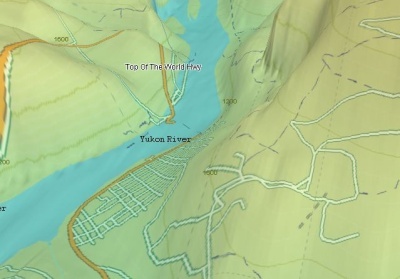 ™"
DID YOU EVER SEE DAWSON, YUKON TERRITORY IN 3D WITH TRAILS? OR NEW YORK CITY AT NIGHT? OR THE TRAILS ALONG THE ST. LAWRENCE SEAWAY? Welcome to my Special GPS Store. My name is Ed a.k.a. Dua Ma Rung [Mr. Jungle Ghost] and I have been a "Survival Tracker" and "Manhunter" for over 65 years. I am involved with Law Enforcement and SAR to this present day. My tracking training started before my teens with my Uncle Frank Buck , an O.S.S. Officer in W.W.II. I also trained with the Kachin's of Burma and with the Bushman of South Africa. I have Tracked around the world in SAR, with the Military, Law Enforcement, and the Nine Tribes of my Native American compatriots as an Instructor and always the "student". Over the past ten years my organization has been testing and working with the New Handheld Navigation GPS's. We have been using the knowledge that my company learned from testing of this type of equipment for International Search and Rescue Operations, Military and Law Enforcement Agencies. We supply to our users reliable, accurate and dependable GPS equipment. Our technical advice and support with our testing staff are unequaled in the World. My organization has gained and earned recognition as experts in the Handheld GPS as an effective tool in Tracking and Search and Rescue. My organization has gained and earned recognition as experts for the Magellan Triton GPS Series... and now we have been engaged to support the new EXPLORIST 510 610 and 710 GPS Series. All our GPS packages are Reconfigured, Tested and Firmware Upgraded before shipment. We have sold thousands to Search and Rescue and Law Enforcement Organizations, mountain bikers, hikers, geocache specialists, back country explorers and mariners. We are proud that our units are used in "life threatening" situations by Trackers - EMS Squads - Fire Departments - and "Ground Pounders" who also have to maintain "crime scene preservation" areas, do "grid searches" and the like. If you are looking for a great GPS for Search and Rescue, and Law Enforcement that is used by Police and County EMS, Trackers and Ground Pounder Support and can also be used for Orienteering, Geocaching, Marine, and Hiking then this is the equipment for you. These are the GPS packages that offers you the MAXIMUM in reliability, dependability and accuracy. Search and Rescue and Law Enforcement personnel demand the best equipment for their work since it involves "saving lives" situations. These are the units that they prefer. Visit our store for comparisons and to see what GPS packages for our outdoor sports activities. By the way, did you know that we are the only supplier of a World TOPO Basemap. Now you can go "AROUND THE WORLD" with full confidence in your GPS. IMPORTANT: These are the latest user manual addendum's for Triton Manuals Firmware Versions: 300 Version 1.90, 400 Version 1.74, 500 Version 1.92, 1500 Version 1.53, 2000 Version 1.68 Click on the Blue Line. Lost Your CD-ROM? There are two essential program on the CD-ROM that you need. This link will instruct you on how to retrieve them. Lost Your 200-300-400-500 CD-ROM and Want to Download a Copy. Click on the Blue Line. Lost Your 1500 CD-ROM and Want to Download a Copy. Click on the Blue Line. Lost Your 2000 CD-ROM and Want to Download a Copy. Click on the Blue Line. Download the Triton Reference Card. We have had this card made up since 12/08 but never posted it. Some of our customers have asked us for it .. so here it is. Here are a Few GPX Trails That May Interest You. Let us know if you want us to post any special Trails. You must first load these files into VantagePoint. Your VP Instruction Manual will tell you how to load these into VP. 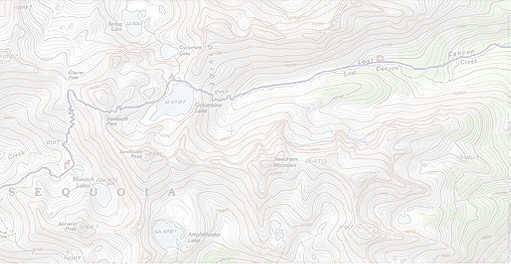 The gpx file will automatically load and make the Waypoints and the Trail. After that you must transfer both the Shelters and the Trail from the PC to the GPS. NOTE: THE TRAILS WILL DOWNLOAD AS AN ZIP FILE. DOWNLOAD THE FILE AND UNZIP AND EXTRACT THE GPS FILE. THEN LOAD INTO VANTAGE POINT USING THE INSTRUCTIONS IN THE VANTAGE POINT MANUAL. YOU CAN THEN TRANSFER THE FILE TO YOUR GPS. Are You Interested in the Repair and Service Checks for All Units That We Repair At Our Repair Center. Here is a List of Some of Them. Jungle Ghost Abbreviated Instructions for Running a FORCED UPDATE. .. Do it Right!! Magellan Update Install Instructions for Triton FORCED UPDATE VERSIONS .. .. These are the new instructions which we culled from the Magellan Website for those you who are having trouble .. This update instruction also works for the Triton 200 300 and 400. We call these Update Instructions the "FORCED" update instructions because they DO NOT RELY on VantagePoint running at the time of update. PROBLEM: Triton fails to complete the update and FAILS, or LOCKS UP, or does not start, or does not connect, or opens in the gray DEVELOPMENT MODE screen .. This solution applies to Triton 400, 500, 1500 and 2000. PROBLEM: Mac and Vantage Point do not speak to each other. Here is the possible solution. Do You Really Have to Re-Calibrate Your Compass After Each Battery Change? The simple answer is "NO" .. Find Out How to Avoid Constant Recalibration. Triton - Not Connecting to PC .. VISTA AND XP SOLUTION .. Device Manager is showing a code -10.. GPS is showing the Message "Waiting to Connect"
The Infamous 10 Hour Magellan Triton Battery Lifetime Tests .. We Tested!!! Download the Latest TOPO! Explorer V1.2.0 (22.87MB) You can use this program to download SuperQuads; print detailed full-page trail maps; and connect to your GPS. Never run VP and TEX at the same time. TEX requires the device drivers in VP to communicate with the GPS. If you can see your GPS using VP then Version 1.2.0 will work. After installing the program will automatically update to the most recent 1.2.1 version after the initial start up. If you want good files you must make "SuperQuads" and TEX MUST ALWAYS BE ATTACHED TO THE INTERNET TO WORK. The DVD only contains the 1:100,000 scale files and they are terrible. TOPO Explorer Deluxe Error Message "Navigation to the Webpage Was Cancelled or Cannot Find the HOST. Then download this article to solve the problem. Copy of the Instructions for First Time Users to Set Up Their Profiles. How to Reinstall an Older Firmware Version on Your Triton. How_to_Install_Triton_Drivers_in_WinXP .. Magellan's Instructions for Installation. Convert Google Earth to GPX to Triton GPS .. Very Helpful .. A Must Read!! Step 1 .. Download this link with the basic instruction manual. Step 2 .. Download this link as it contains all the information, Instructions and Source Codes that you need to do conversions. Converting the Results of Collecting Unlimited. This article should also be download. It has been found that the Waypointer software recommended in "Sockeys's" articles hangs up when processing thousands of breadcrumbs. This articles deals with not only this problem be addresses the convertion of the resulting .kml file to the .gpx file for use with other GPS units. Secret Easter Egg Codes for the Magellan 200 300 400 and 500 Units. Find out what you missed. How to Save Screen Shots on the 400 and 500's. How to See Temperatures on the Triton. How to Factory Calibrate Your Compass on the Triton. 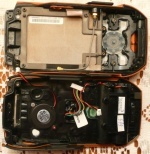 Did You Know That the Jungle Ghost Also Repairs BROKEN Triton 200 300 400 500 Color LCD Displays? Visit Our LCD Repair Center for Details. EXPLORIST 510 - 610 - 710 QWVGA REPLACEMENT DISPLAY SCREENS. We will have a supply of WQVGA TOUCHSCREEN Displays for the Explorist 510 - 610 - 710 units for LCD screen repair. Place your service order now and reserve a screen for your unit. Visit our Explorist Repair Center for Details. NOTE: All Vantage Point Versions Higher Than Version 1.60 are for the New Explorist Series. If you have a New Explorist please go to this link ..
National Geographic Refuses to Export to Your Triton .. Reinstall Instructions with Cautions. The instructions will ask you to install two versions 4.4.0 and 4.4.3 .. You will find both of these below. National Geographic TOPO .. Upgrade Version 4.5.0.2 Supports the Magellan Triton and the new Garmin Colorado, Oregon, Nuvi, and Edge GPS devices. This is the MOBAC Tutorial Manual. Designed by David Carr. MOBAC is also known as the Atlas Creator. Make Your Own Triton RMP Raster Images .. If you are not familiar with the work of Mikhail Sharonov. You must visit his site http://www.msh-tools.com/triton.html Just download his program TritonRMP.zip and extract it. You can take common images (currently jpg, gif, and bmp) and convert them to Triton RMP Raster images. We have tested his program on Windows 98/98SE/2K/XP and Vista and with the Triton Series and the RMP files created are "Excellent". (Source: Tritonforum.com/forum and Tritongps Yahoo Group.) .. Excerpt of his Work .. Here is Another RMP Maps maker for the Magellan Units .. http://www. antalos.com/gps/en-rmp-creator.php that allows you make Your Own Triton RMP Raster Images.. The Easy Way to Load a Geocache into Your Triton. Find and Superimpose Trails, Routes, etc. over the Jungle Ghost TOPO map for the Magellan Triton GPS. This is how you find a Trail, etc. and download the GPX file and Import it to VantagePoint and then Transfer it to your GPS. GSAK Software Version 7.7.2 Note: This is Version Build 56. If you are using the New Explorist GC or the New x10's you need to visit our webpage http://www.jungleghost.com/Explorist/ for the latest Version 7.7.3 Build 32 Upgrade. GSAK Software and Stripper Programs GSAK is the all in one Geocaching and waypoint management tool. 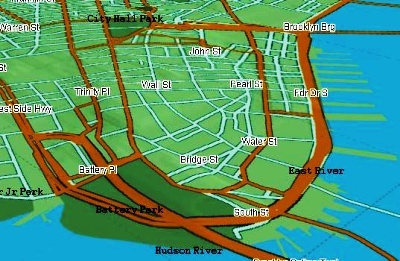 Major features include: Multiple databases, sending/receiving waypoints to GPSr, Google maps, conversion to many mapping formats, PDA output (including CacheMate support), HTML output, extensive searching, macro support, backup and restore, distance/direction from other waypoints (including caches, locations, post codes) and much more. GSAK only runs on Windows operating systems (98, ME, NT, 2000, XP, Vista). We have also added two (2) Stripping Macros to this program. Learn How to Create Triton Raster Maps .. A further explanation of the use of gMapMaker and how to download Satellite and Street Images to create the maps. Making_Super_Quads_for_the_Triton_GPS. This is a condensation of information that was made available on the Triton Forum. The information was published in late December of 2008. The data was tested and modified by the Jungle Ghost to correct for errors. How to Set Up Your Triton for Military Grid Coordinates ... MGRS Setup. Map Building: This abridged information is from the tritonforum.com/forum website and was posted by "gulo". The best is a custom build of gMapmaker: http://forum.mgmaps.com/viewtopic.php?p=11229#11229 This build is able to download maps from Google, Microsoft, Yahoo, Ask, etc. including hybrid maps which are most interesting since they have road and places names on them and TritonRMP can directly use these maps, without any additional conversion. NOAA Free Marine Coastal Charts .. How to Convert Them to Triton Raster Files. Magellan's Various Policies on Warranty Service. Your unit could be "Out of Warranty" and you do not know it. Triton is a registered trademarks of Magellan Navigation, Inc.
All rights reserved. Magellan, Maestro, Magellan RoadMate, Crossover, Explorist and Triton are trademarks of MiTAC Digital Corp.